An interview with Pritesh Patel, who joined the Gemological Institute of America as CIO, and has since been promoted to SVP & COO. By Pamela Kurko, Recruiting Partner, Heller Search Associates. Pamela Kurko: When did you join the Gemological Institute of America (GIA), and what is your role? Pritesh Patel: I joined GIA in March 2015 as Chief Information Officer (CIO). The CEO and GIA Board of Governors hired me to transform IT from the digital, information security, cultural and talent development standpoints. In January of 2017, I was promoted to Senior Vice President and Chief Operating Officer. GIA is a global, public benefit, non-profit institute that researches, teaches about and evaluates diamonds, colored gems and pearls. Our mission is to protect consumers by providing information that gives them confidence in the gems they purchase. The Institute was founded in 1931 and our world headquarters are in Carlsbad, CA. We've experienced tremendous global growth over the last 10 years. Today we have gem identification and grading laboratories, campuses and research centers in 13 countries. How are you digitally transforming GIA? I am focused on two key areas: 1. improving business operations, and 2. driving future business growth. These two key areas require a strong, trust-based relationship with the executive team and the board. To achieve that, IT must be aligned with the business strategy, have strong leadership and top talent, build a culture that fosters innovation and promotes risk management. We see digital transformation as a completely new way of doing things. We have to disrupt our business before someone else does. This is the difficult concept, especially when the business is performing so well. In order to disrupt and transform, we're building new capabilities that allow us to create new products and services, and to enhance our existing ones. We have to ensure that we are protecting our brand and assets from cyber-attacks and other enterprise risks. We’ve identified how we're going to do that, and developed a digital strategy to transform business operations and drive growth. We're taking an extremely innovative approach, using new technologies infused with our expertise in the science of gems – “gemology” - to create new opportunities. This combination of gemological and digital excellence gives us a clear advantage that allows us to keep our leadership position and continue to fulfill our public benefit mission. How did you secure the support you would need from the CEO and the board? One of the reasons I was attracted to GIA was that our CEO and executive leadership team were looking to transform the business with technology, so there was support from day one. From that first day, I focused on building credibility with the CEO, the executive leadership team and board by bringing transparency, listening, and delivering results. Cyber security and risks associated with it were top of mind for everyone. One of the first things I did was to implement a full-fledged governance program around information security. Then we worked to improve the posture of our security, which helped us prevent several major incidents. This built the confidence of the CEO and board. How did your role evolve from CIO to COO? I was able to bring in people with really great leadership, technology and information security experience from other industries who also were strong cultural fits with GIA. I then delegated operational responsibilities to these leaders, like running the IT operations, infrastructure and applications. This allowed me to focus more of my time and energy on innovation and business strategy, and that eventually expanded my role from CIO to COO. My COO role has three-parts. One part is CIO, with continued responsibility for the internal business technology. The second part is the Institute-wide digital transformation for the future, similar to that of a chief digital officer role. The third is a business operations role, working with our clients and stakeholders to enhance the trust they have in GIA. Those are the three parts to my role, but they are all about creating new opportunity, efficiencies, capabilities and reducing risks for the business. What are some examples of new technology innovation you plan to introduce? One example is the first consumer-facing use of blockchain in the gem and jewelry industry: a digital grading report that is an immutable, traceable record of a diamond's journey. The grading report information is written directly on the blockchain – it is unique and immutable, giving additional confidence in the authenticity and security of the information. Customers have greater assurance that their diamond is natural, not synthetic, and of the quality they expect. If you’re the consumer who buys the diamond, you want to know for sure that the grade came from GIA. By introducing blockchain, we are enhancing the trust that consumers put in GIA. The consumer will soon have a way to access their digital grading report from their mobile device. They can register ownership of that information with GIA, so if they sell that diamond ring or jewelry, they can transfer that trusted digital record to the buyer. What are some other benefits of this blockchain technology? This will change the consumer experience by giving them a story. For example, when an individual buys an engagement ring, they can tell their fiancée exactly where the stone came from, it’s country of origin, and its evolution into the diamond ring that is now on their finger. Then that couple can share their story with friends and family on social media. This type of transparency and traceability is a huge thing that millennials look for today. Is this digital grading report available to the consumer today? Right now, only through a pilot program in Hong Kong and China through the retailer Chow Tai Fook. Customers who buy this retailer’s T Mark–branded diamonds will receive the accompanying GIA grading reports not as paper documents, but as a digital grading report delivered through the T Mark mobile app. Through the service, which was developed with Everledger, a blockchain-technology startup, and secured by the IBM Blockchain Platform, GIA will enter its grading information for T Mark diamonds directly onto a shared blockchain ledger, which will then be transferred to the purchaser via the T Mark app. Once the pilot phase is complete we will continue to bring more parties on the platform. Besides blockchain, are there other transformative technologies being explored? Yes. We are in the development phase of a project utilizing optical imaging and artificial intelligence to create 'digital fingerprints’ of diamonds. Then we'll be able to connect the physical diamond with the digital information. That's another new technology innovation that we'll soon be releasing. 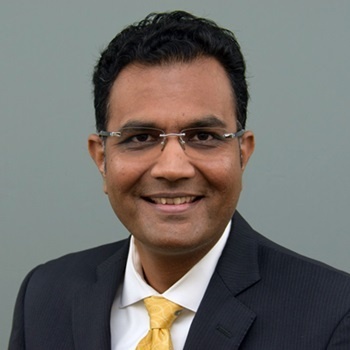 As SVP & COO of Gemological Institute of America (GIA), Pritesh Patel leads operational strategy planning and execution, and develops and implements strategic, innovative technology solutions to drive successful change. Patel has more than 20 years of corporate-level leadership experience and an extensive background in information technology. He received an MBA from the Marshall School of Business at the University of Southern California. 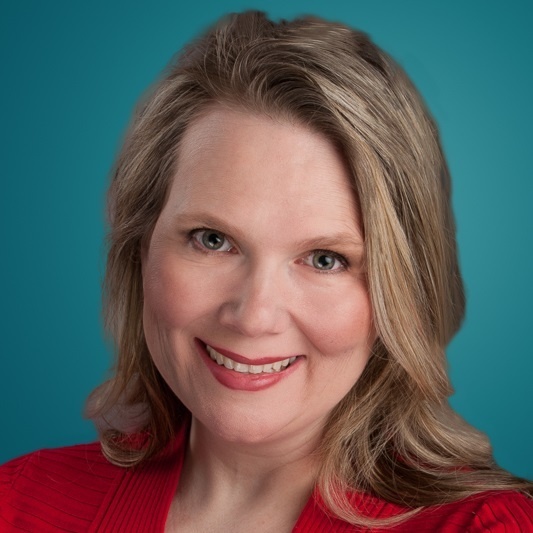 Pamela Kurko is a Recruiting Partner at Heller Search Associates. She has been in the executive search industry for 20 years.